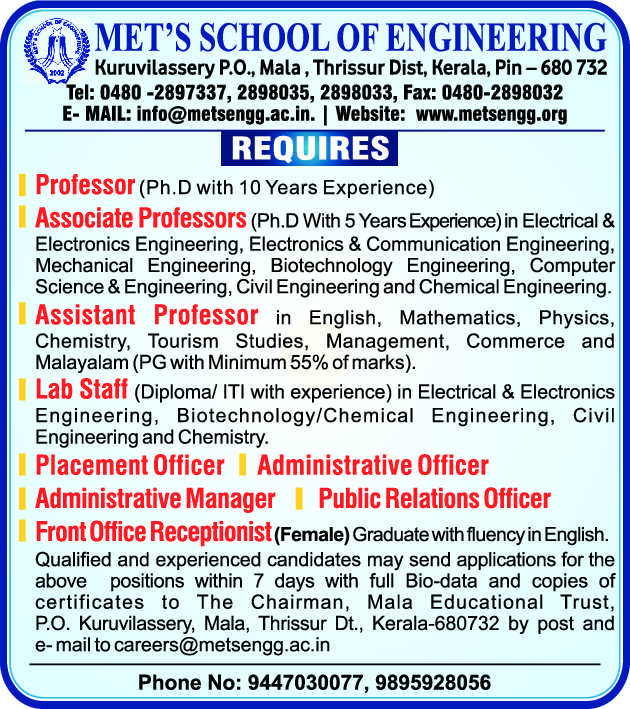 MET's School of Engineering, Thrissur has advertised in THE HINDU newspaper for recruitment of Professor / Associate Professor / Assistant Professor Plus Non-Faculty jobs vacancies. Interested and eligible job aspirants are requested to apply within 07 days from 13th June 2018. Check out further more details below. 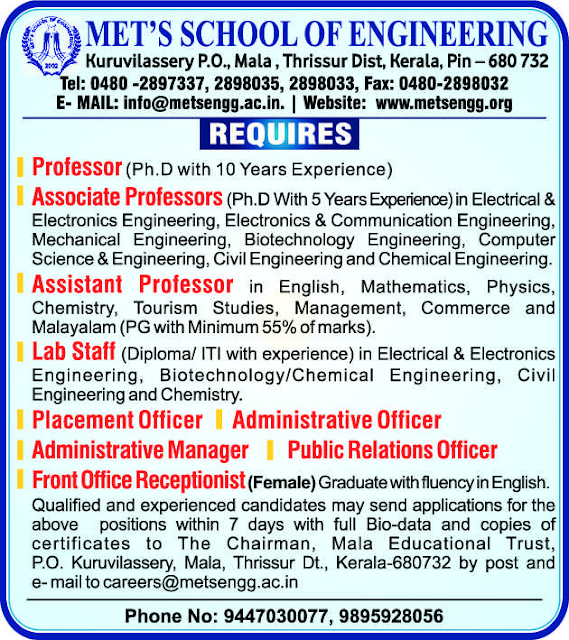 About College : MET's School of Engineering is a private engineering college situated in Mala, Thrissur District of Kerala, India. The college is affiliated to All India Council for Technical Education New Delhi, and the University of Calicut. How to Apply: Interested and eligible candidates are requested to send application on plain paper along with all copies of certificates / testimonials and recent PP size photos to the postal address / email address provided here.